This year was the first during which European funds were allocated directly to Serbian producers. 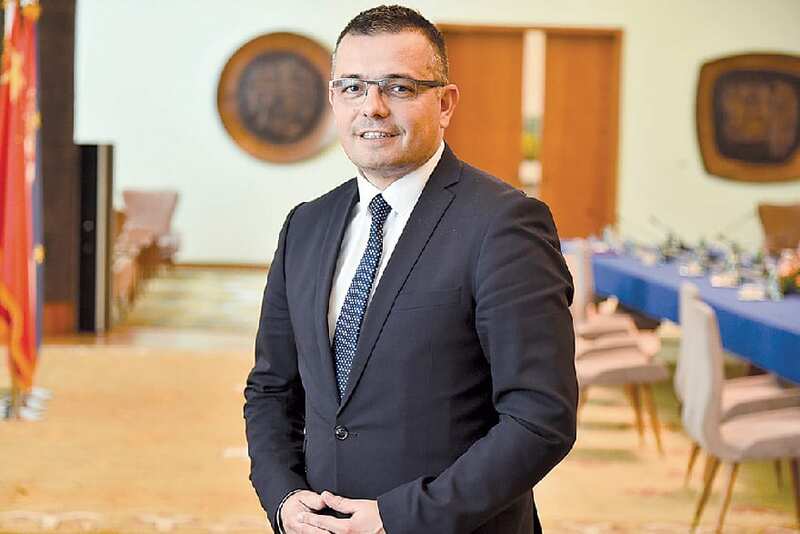 We spoke with Serbian Agriculture, Forestry and Water Management Minister Branislav Nedimović about the IPARD programme and numerous other measures that should serve to make agriculture and food production the backbone of economic growth and exports. After eight years of waiting for IPARD, Serbia today has the first specific contracts. Are you optimistic when it comes to the effective withdrawal of funds? 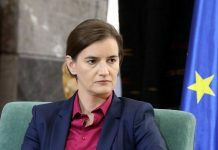 – We have every reason to believe that the IPARD programme will come to fruition in Serbia and that the utilisation of funds will be good, because in the past two years we’ve exerted significant efforts and allocated financial resources in order to fulfil a large number of requirements and criteria, and to establish the structure necessary for the implementation of measures under the IPARD II programme. The greatest reason for optimism is the excellent response of our farmers and processors to the first public calls, which was also confirmed by senior officials of the European Commission. The success of the entire IPARD project depends as much on the willingness of the operating system to implement a complex and extensive administrative procedure as it does on the preparedness of users and the number of high-quality projects. IPARD is also a kind of test and preparation for strict EU rules, which paves the way to the Common Agricultural Policy of the EU and the much higher funding that will be available to Serbia when it joins the EU. What do you consider as the biggest changes made by the ministry with the goal of building up the agriculture and food processing sectors into future drivers of development? – The Ministry of Agriculture, Forestry and Water Management (MAFWM) has set the direction for the future development of agriculture and the food industry on the basis of the concept of sustainable development, and – with the adopting of strategic documents – measures have been identified that have a positive impact on improving the most important sectors of Serbian agriculture, but also on the satisfactory development of rural areas. The 2018 Agrarian Budget is characterised by significant funding increases compared to the previous period – it is developmental and pro-investment, and it supports those types of agricultural production that have medium- and longer-term market prospects. 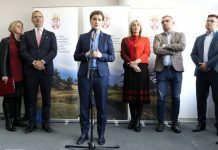 Legal preconditions have also been created for the direct sale of produce at agricultural holdings, and since last year the Government of Serbia and the Ministry of Agriculture have provided a special financial support measure for young farmers (aged up to 40). The biggest changes have certainly been achieved in terms of the modernisation of agricultural holdings through the procurement of new equipment and machinery, and the construction and equipping of facilities, which contributed to the possibility of utilising IPARD funds and implementing special national measures. This led to the creation of new opportunities for improving the competitiveness of production – through reductions in cost, improved product placement and the production of more value-added products. How much have these changes impacted on increasing the number of registered agricultural holdings that are ready to engage in exports? – One of the prerequisites for the successful export of final products is modern and efficient production operations that are able to meet the requirements of foreign markets in terms of quantity, quality and placement. It is also essential to fulfil quality and safety standards of food, so special incentive measures have also been created in that area, which contributes greatly to preparing producers to sell products on foreign markets. The number of farms exporting their products is certainly increasing, and the use of IPARD funds for these purposes testifies to this, as well as the protection of markings for the designation of origin of specific individual products. Additional work is required in the associating of producers. When do you expect the National Reference Laboratory to fully assume the work included in its scope of activity? – The laboratory for food safety, animal feed and milk testing perform tasks that include the testing of hygienic safety and the chemical composition of milk. During this year we started testing the quality of raw milk, and the part of the laboratory dedicated to milk microbiology is in the process of preparing for accreditation. The rest of the laboratory, which deals with the physical and chemical testing of food, could start operating follow its complete equipping and the hiring of expert staff. To what extent are domestic food safety regulations harmonised with EU standards today, and to what extent they have received clear operationalisation in bylaws or their implementation? – Regulations are on the whole harmonised with EU standards and have been implemented fully for several years already, while training courses for inspectors and food business operators are constantly being held, in order for new requirements to be better understood and adequately applied. This is also confirmed by the existing possibility of exporting almost all types of food of animal and non-animal origin to a large number of markets. EU inspections for food and the health of animals and plants, through their missions in our country, continuously check the level of implementation of EU legislation, and all participants in the food safety chain are subjected to controls. How effective did the establishment of the Expert Council for Risk Assessment in Food Safety prove to be? – The formation of the expert council was our need and obligation, in accordance with Serbia’s EU accession agenda. The engaging of this council to date has actually shown that it was a good decision – we have an expert body that is competent, provides independent risk assessments and secures expert opinions that are completely impartial. Now we don’t have unrecognised risks in the domain of food safety and we manage all risks in a timely manner. The Ordinance on the Declaration, Labelling and Advertising of Food has been in force since are in force June this year. What new elements did it bring to this area? – The Ordinance on the Declaration, Labelling and Advertising of Food is fully harmonised with EU regulations. The new rules primarily relate to foods sold by means of distance communication (online, via the internet, m-sales), rules for indicating a product’s country of origin, additional indicators concerning agri-products and meat products, as well as the obligation to cite nutritional declarations. One of the problems noted for years by food importers, especially those from the EU, is the high number of sample products, the frequency of sampling and the unequal applying of regulations. What is your stance in this regard; where is the right control measure? – The sampling of food and products of animal origin is performed at the state border in accordance with the Instruction on the reduced frequency of physical checks of consignments of certain products upon import into the Republic of Serbia, which complies with European regulations on the reduced frequency of border checks. The Veterinary Directorate is currently implementing an information system that will network all inspection services, which will ease the implementation of risk analysis in controls to a significant extent. Moreover, the Ordinance on establishing the programme for monitoring the safety of food of animal origin and imported animal feed is underway, the adoption of which will bring control systems and the applying of risk analysis more in line with existing practices in the EU. When it comes to controls of food of plant origin, mixed food and animal feed of plant origin, the Directorate for the Protection of Plants adopted a plan for 2018 based on risk analysis, utilising data from 2012 to 2017 and identified irregularities during that period. On the basis of this analysis, a List of food and animal feed of non-animal origin has been compiled, which will be subject to sampling during official import controls in 2018. 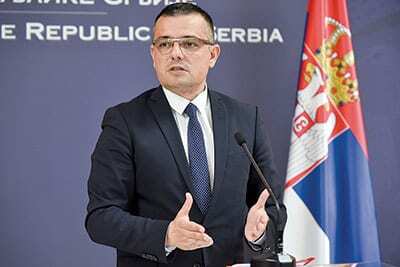 Significant progress has been made in Serbia in the previous period in terms of improving legal regulations and the work of inspections. In this context, how do you view the possibility of improving the work of veterinary and phytosanitary inspections? – The transferring of the European Acquis into domestic legislation is taking place within the envisaged timeframes and – regardless of the dynamics of the harmonisation of regulations – veterinary inspectors are already applying European regulations in controlling the satisfying of the prescribed conditions for the work of subjects under supervision – the so-called regulations of the European “hygienic package”. This has also been confirmed by numerous checks in previous years, which provided the basis to recognise the equivalence of legislation, administrative and inspection procedures in the Republic of Serbia, which provided the basis for the Republic of Serbia to be granted permission to inspect export facilities by itself and to delegate them on the list of exporters to the EU. The previous period included the adoption of new regulations that enable improvements in the work of phytosanitary inspections and provides the opportunity to increase the capacity of phytosanitary inspectors, which will contribute to improving operations and accelerating control procedures. The phytosanitary inspection was also included in the project “Development of a Sustainable Information System for the Ministry of Agriculture, Forestry and Water Management”, which resulted in improving the work of the phytosanitary service, with the aim of strengthening the phytosanitary system of the Republic of Serbia. One of the changes in the work of your Ministry is more dynamic cooperation with the business sector, including the Foreign Investors Council. To what extent does this kind of work contribute to the identifying of optimal solutions to open issues in this sector? – MAFWM’s agricultural policy measures also stimulate the re-establishing of broken market links in the food chain and the formation of basic market infrastructure for more solid cooperation in primary production and processing. The incentives policy is directed towards branches that contribute to the activating of the food sector and the growth of exports. 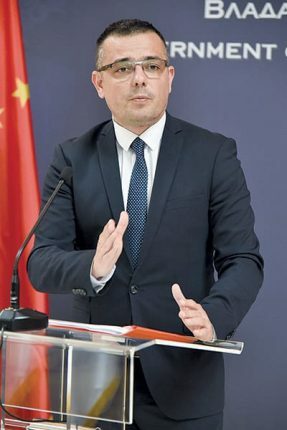 In this regard, it is very important for the Ministry to establish daily communication with organisations that bring together stakeholders in the economy, such as the Foreign Investors Council, the Chamber of Commerce & Industry of Serbia and others, which should contribute to strengthening capacities for managing public policies in agriculture and rural development.